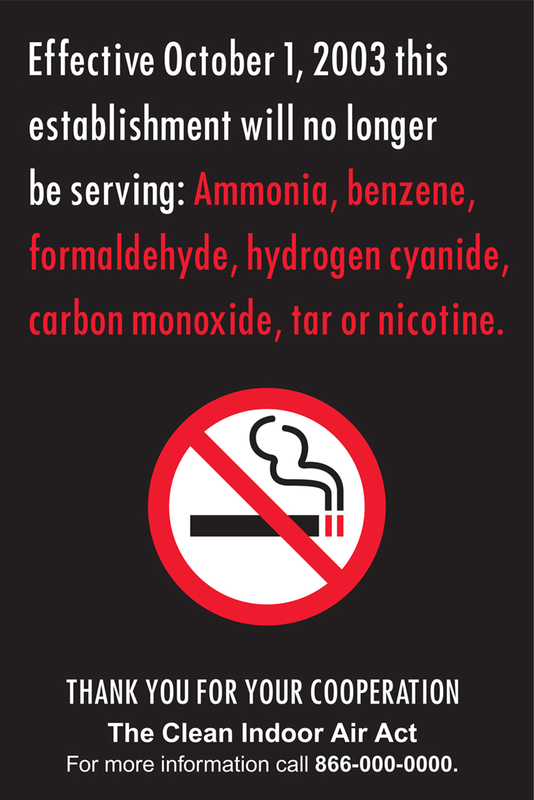 When the Connecticut legislature enacted the Clean Indoor Air Act, designed to protect citizens from second hand smoke, it prescribed a smoking ban in numerous public places including restaurants, bars, workplaces, hotels and sporting facilities. While the legislation had minimal opposition, it was a shock to the system for many residents and business owners, requiring a significant behavioral change. It was imperative that the State be proactive and educate residents about the new law to ease compliance. We crafted messaging that not only announced the ban, but also explained why it was put in place, putting both the legislators and the affected businesses in a positive light.